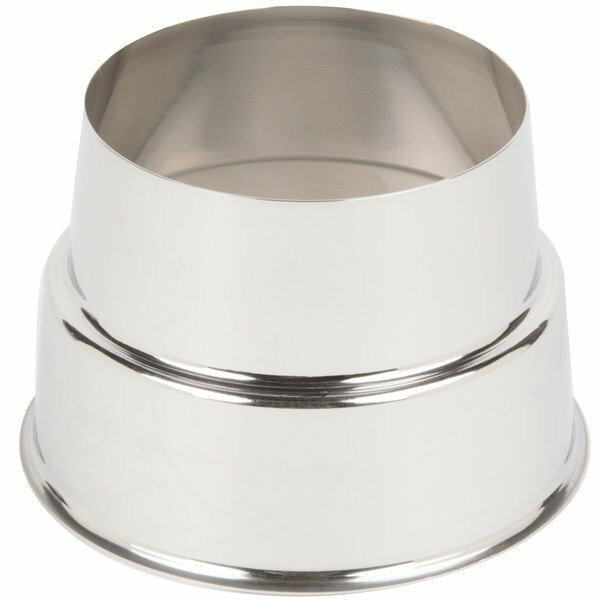 Make your magnificent malts and milkshakes right in the cup with this stainless steel malt cup collar. 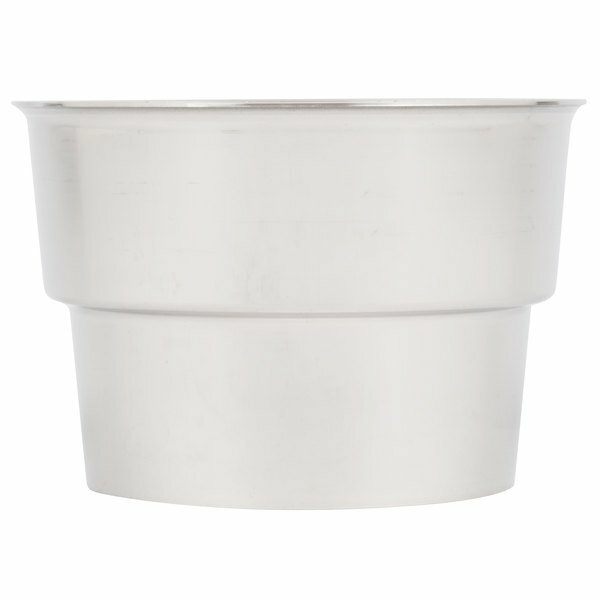 From diners and family-style restaurants to bars, this malt cup collar is a unique and efficient addition to your service station! 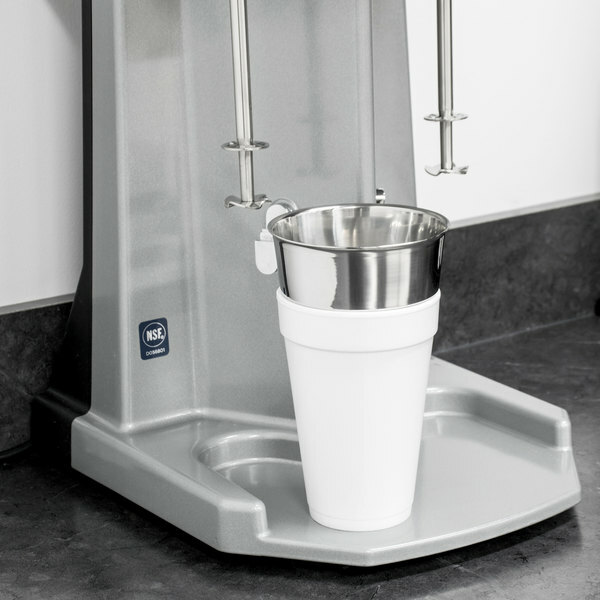 While foam to-go cups alone aren't large or durable enough to use with a milk shake machine, this malt cup collar lets you mix milk shakes directly in your disposable cups rather than mixing drinks in stainless steel malt cups and then pouring them into smaller cups for service. "These collars are nice and sturdy. 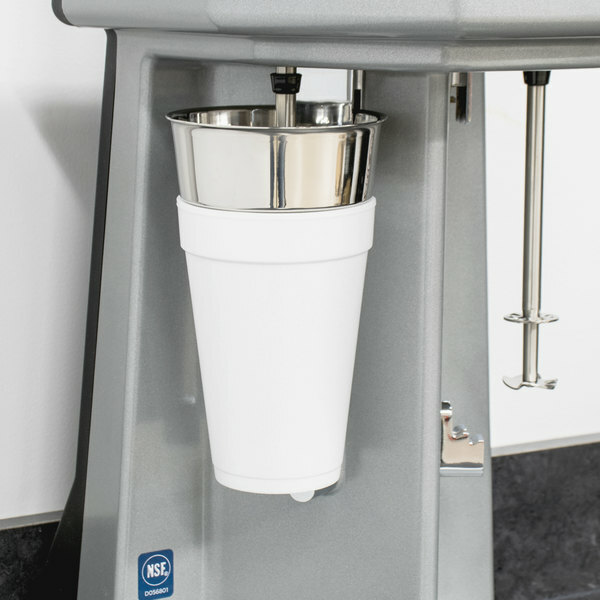 We use them when mixing soft serve and the do a nice job keeping the ice cream from slinging everywhere when pulling the cup off the mixer." 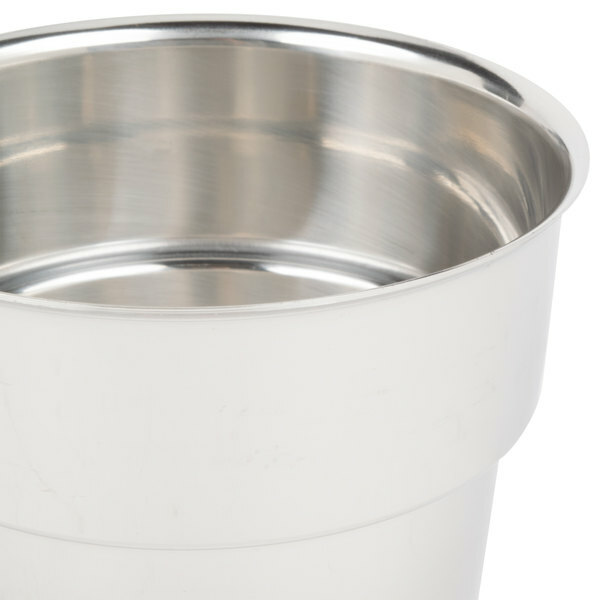 The stainless steel malt cup collar boasts durability and has a sleek, shiny appeal. Each collar is designed to fit on foam cups with a rim diameter of 3 1/2". 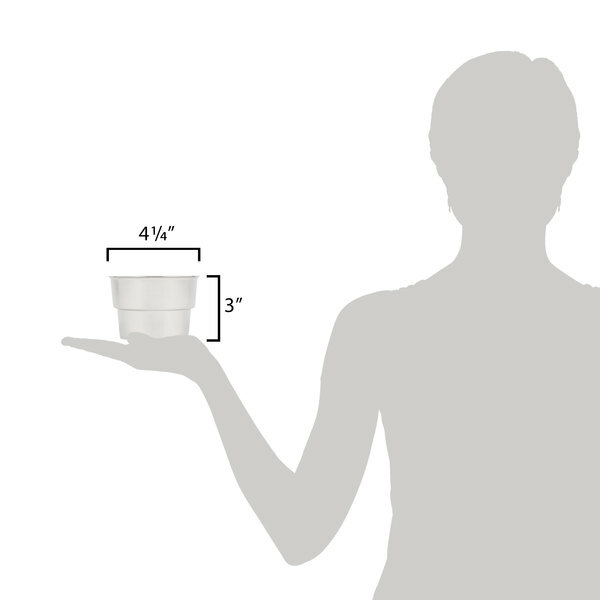 This collar eliminates the need to mix shakes in one cup and then pour them into to-go cups. Mixing milkshakes directly in a disposable cup rather than traditional malt cups helps you reduce clean up time and dishes. Plus, it also lets you speed up service so your business can serve more customers in less time! Can I use this malt ring with paper cold cups? Due to the differences in material thicknesses between foam and paper cold cups, paper cups may not fit properly on this malt ring. We recommend using foam cups with this ring to ensure the best fit. Great quality, durable and have lasted now for a couple years with daily use at our ice cream shop. We definitely recommend for any milkshake vender. 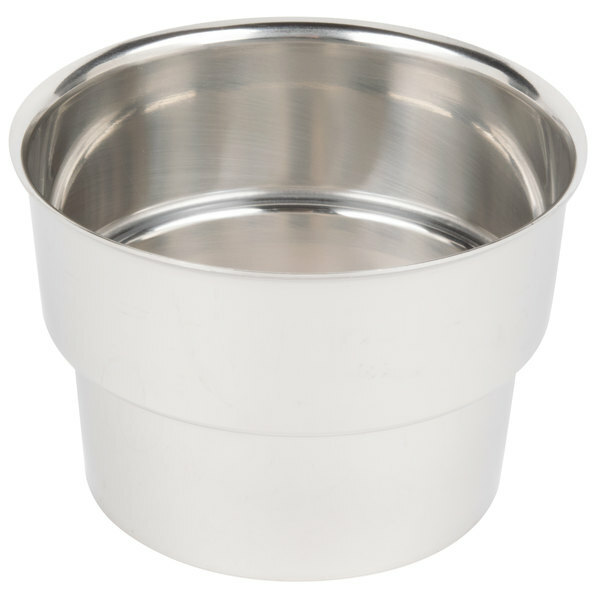 The Malt Cup Collar for 3 1/2" Cups- Stainless Steel is well made and sturdy. The price is great for the quality! I would definitely purchase this again. We love this invention. 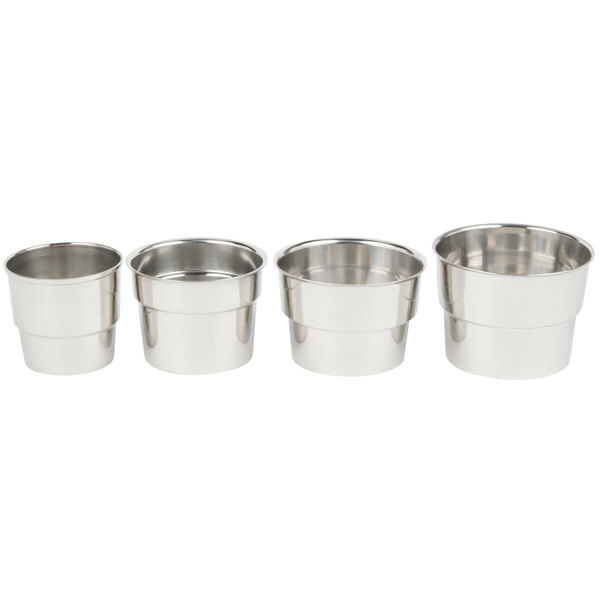 Use it to make milkshakes right in the same cups we serve in. Affordable, good quality and easy to clean and store. These collars are nice and sturdy. We use them when mixing soft serve and the do a nice job keeping the ice cream from slinging everywhere when pulling the cup off the mixer. What I love so much about these Malt Cup Collars is that they can easily be attached to plastic cups-- you don't need a whole malt-making contraption! Add that i with how easy they are to clean, and this product is a total must-have! Nice stainless steel collar that we use with our milkshake mixer when doing take out orders. Collar fits right into the paper cup without having to dirty the stainless cup. We don't use this in the traditional way (for milkshakes). We have a hawaiian shaved ice stand and use this to make snow cream just like you get in the winter time when it snows. 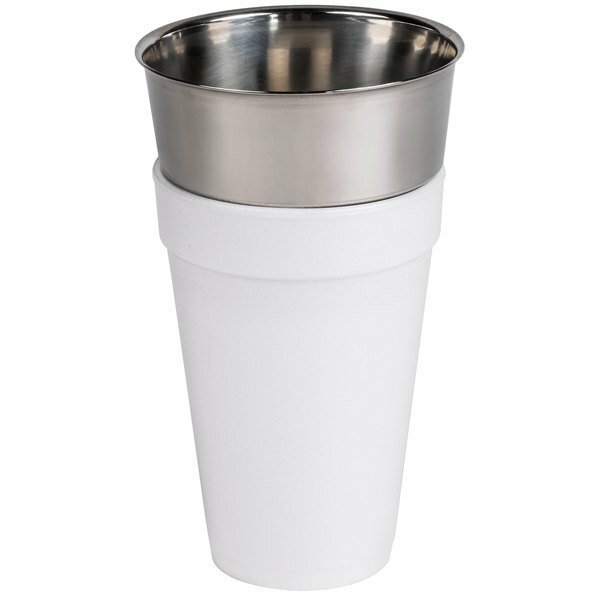 We stick the collar in the styrofoam cup and just mix it up right in the cup. Our employees love these, as it is a lot less messy than trying to mix right in the cup.